A hormone called aldosterone may be a linking factor between — type 2 diabetes (T2D) and high blood pressure — the two disorders that often occur together. Researchers in their study, published in the Journal of the American Heart Association, report that increased levels of aldosterone, already associated with the development of high blood pressure (hypertension), can play a significant role in the development of diabetes, particularly among certain racial groups. Joshua J. Joseph, an endocrinologist at Ohio State Wexner Medical Center, and colleagues investigated the cross‐sectional associations of aldosterone and plasma renin activity with fasting plasma glucose, insulin resistance (IR), β‐cell function, and longitudinal association with incident diabetes mellitus among adults in MESA (the multiethnic study of atherosclerosis) prospective cohort study. “Aldosterone is produced by the adrenal gland. We’ve known for some time that it increases blood pressure. We’ve recently learned it also increases insulin resistance in muscle and impairs insulin secretion from the pancreas. 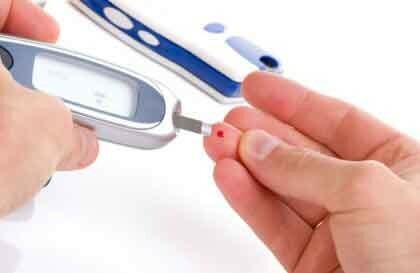 Both actions increase a person’s risk of developing T2D, but the question was — how much,” said Dr. Joseph. For the study, the research team followed 1,600 people across diverse populations for 10 years as a part of the MESA study. During 10.5 years of follow-up, just over 100 people developed type 2 diabetes. The risk of developing T2D more than doubled for people who had higher levels of aldosterone, compared to participants with lower levels of the hormone. African Americans with high aldosterone levels have almost a three-fold increased risk. Chinese Americans with high aldosterone are 10 times more likely to develop diabetes. “I looked into this as a promise to my father. He had high levels of aldosterone that contributed to his hypertension, and he thought it also might be linked to his diabetes. As my career progressed, I had the opportunity to research it, and we did find a link to diabetes,” Joseph said. One question that remains is why there are wide differences in risk among various ethnic groups. Joseph said it could be genetics or differences in salt sensitivity or something else, and it needs further study. Just over 30 million Americans have diabetes and nearly a fourth of them don’t know it, according to the Centers for Disease Control and Prevention. Another one in three Americans has prediabetes. Despite current preventive efforts, the numbers continue to climb among various racial/ethnic groups. “We know there’s a relationship between aldosterone and type 2 diabetes. Now we need to determine thresholds that will guide clinical care and the best medication for treatment,” Joseph said. “Aldosterone is associated with glucose homeostasis and diabetes mellitus risk with graded associations among Chinese Americans and blacks, suggesting that pleiotropic effects of aldosterone may represent a modifiable mechanism in diabetes mellitus pathogenesis with potential racial/ethnic variation,” concluded the authors.